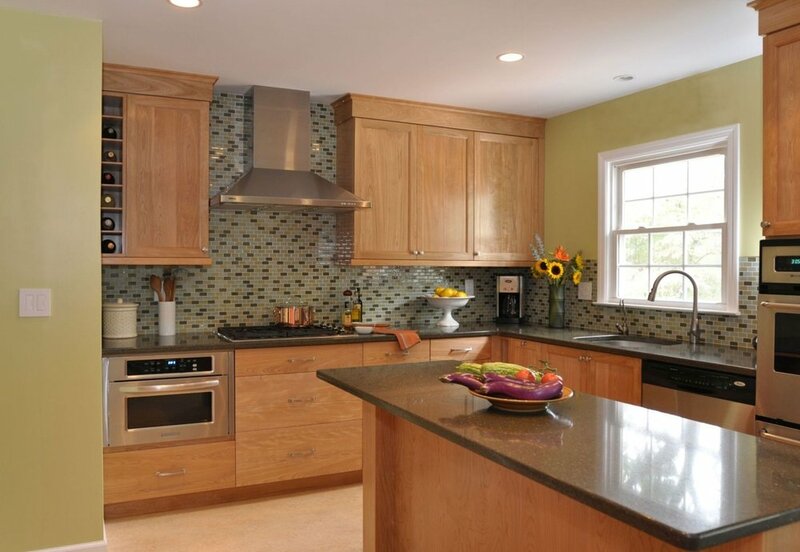 This green kitchen makes use of sustainable materials such as biodegradable flooring, non-formaldehyde custom cabinetry, low voc paints and greenguard certified countertops. 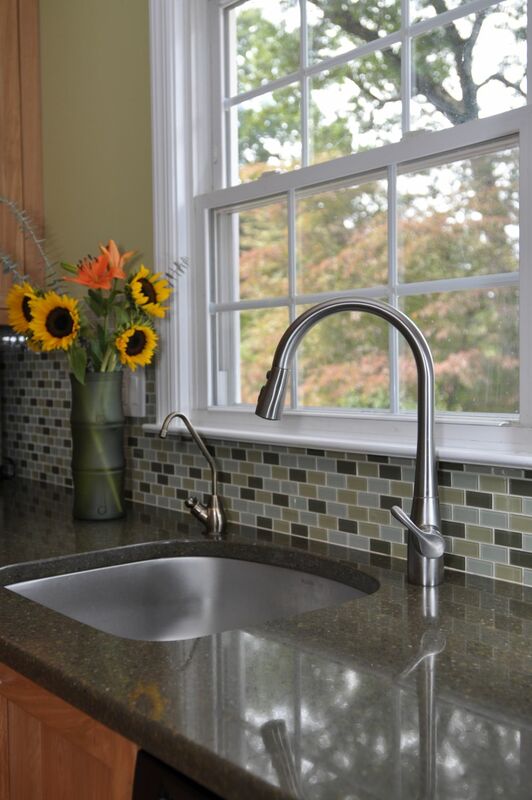 The quartz countertop is greenguard certified-- meaning that it's met the rigorous standards for low emissions of VOCs. 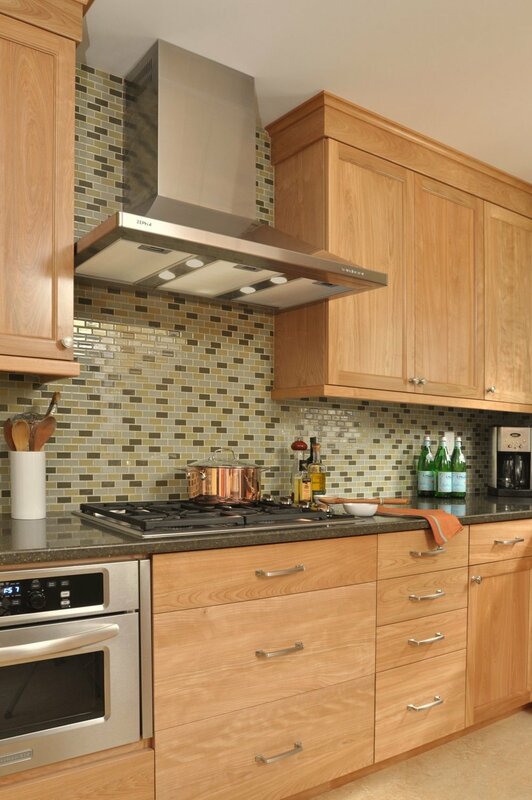 The owners chose mini brick glass for the full height backsplash. Glass, of course, is biodegradable in keeping with the eco-friendly theme of this kitchen remodel. The new kitchen's open floor plan and island provides greater functionality that suits the owners’ present and future needs.